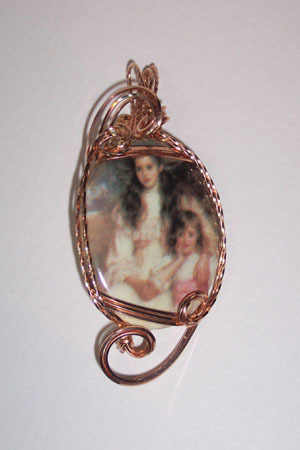 Porcelain cameo pendant featuring two lovely Victorian girls. Sculpted in 14kt rose gold. Measures 2.5"x1".